Seeing how my grocery bill is steadily increasing since I’ve started working from home, yesterday I set out to find some neat tips on how to save money on food shopping. Well I’m glad to report that I have found some amazing tips and (of course) I would like to share them with my readers here! Since September 2013, I’ve been working from home and as expected; I’m doing a lot more eating at home now that I’m always here. Yes it’s much cheaper than to eat out but my grocery bill has more than doubled these months that I have been working full time from home. I have to keep it in check! These are some tips and ideas I’m going to be testing out and implementing, maybe you give them a go too? I don’t know how things are in the US but in Europe 12 litres of water cost as the same as 2 litres of Coca Cola. If that’s the situation over in the US, I don’t need to tell you how drinking only water at home can be beneficial to your wallet and your health. For instance, vegetables are cheaper than meat. Try to include some more veggies and less meat. I suggest you even try “veggie-days”. Also it’s good remember that with cheap meals you spend less on groceries! DUHHH! You can find some cheap tasty meal recipes here! Basically all the stuff that can be stored for long periods of time. Never ever go food shopping while on an empty stomach. Going into a store hungry will make you go for things you don’t really need to buy. I have tested this theory multiple times and I always find myself spending 10%-30% less when I go right after a meal! The least you go shopping, the better! Try to get all you monthly needs in one trip if possible (or maybe 2). It will help save you time and money by not being “exposed” to impulse buying and by having to commute to and from the stores. You will also be more inclined to stick to your list. Are you familiar with SOS? Shiny Object Syndrome? This is the syndrome that would make you buy things you don’t need just because of the creative marketing behind that brand. Prepare your meals before going food shopping, list your ingredients at home and just stick with it! It’s not that hard. Speaking of brands…. Don’t be brand loyal! Explore other options with your purchases. Being brand loyal can cost you money by blindingly spending more than you have to just because your favourite brand is behind it. A very dangerous habit! The same with me and Apple products *sigh* ! Did you know you can buy things from Amazon Fresh and have them freshly delivered to your house the next day? There are numerous ways you can save money with Amazon and this is one of them. See if this service is available in your area and try it now! This is the number one rule when saving money on food shopping: Do Not Waste! You can apply any tactic you want to save money but if there is waste, they won’t be much effective. Thank you for reading folks! 🙂 I hope you enjoyed today’s post. What a fabulous site. I think you have some really great ideas. I LOVE to save money but I also LOVE to spend it. 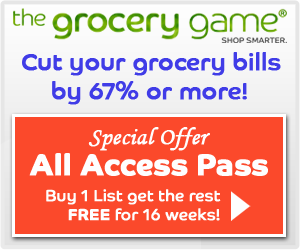 As a mom of 6 children I can appreciate how easy it is to save or spend money in the grocery category of my budget. I find that sticking to my grocery list is key to saving money. I also have one day of the week that I ALWAYS get take out pizza. This has actually saved me money from eating out on the other days because I know I have set aside one day that I don’t have to cook. Pizza is a lot cheaper than other fast food restaurants and we can still have variety. I think you really have hit the nail on the head with this post. When I first made the decision to go on a spending fast one of the first thing I realised was how much money I was spending on food and since I’ve planned meals and started buying the stores own brand, my food shopping expense has reduced from £250 per month to £100 per month. That’s freed up a lot of extra cash to put towards my spending. It’s also impressive how much money you managed to save on food! That is incredible!! !